THE MALAYER RUG - At their core Persian village rugs. Situated between Hamadan and Arak, the Persian city of Malayer has throughout its history benefited from the aesthetic influence and thriving commercial markets of two of Persia’s great rug-making centers. It is itself a large town, built where the Zagros mountains rise sharply to form Iran’s western edge, and here, at the country’s natural boundary, the arts have long exhibited that convergence of styles so often seen in border regions of the world. In Malayer textiles, we see not only the influence of neighboring traditions—from Hamedan to Sarouk to Malayer’s native Turkish designs—but also the synthesis of their disparate forms. The Malayer rugs are at their core Persian village rugs, and as such display the utilitarian qualities typical of the genre. They are incredibly tough, double-knotted on a heavy cotton, sometimes wool warp. As is the case with most village rugs, Malayers were not woven only in the city itself, but also in the provinces where a number of exceptional towns achieved separate fame. In one of the most well-known of these villages, Mishin, local weavers made use of their superlative local wool to create their subtly lustrous Malayer carpets in highest demand today. Crucial to the character of Malayer rugs as a whole, even the most well-known villages maintained production on strictly small-scales. Weaving was almost always carried out at the individual or family level without the use of centralized workshops or hired labor of any kind. 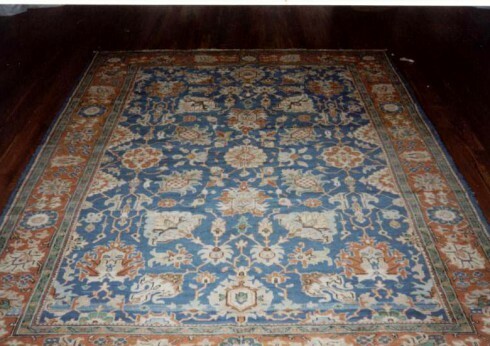 This doubtlessly maintained the intimate, hand-made quality seen in even in the most finely-woven Malayer rugs, and it also explains the Malayer’s traditionally small size. 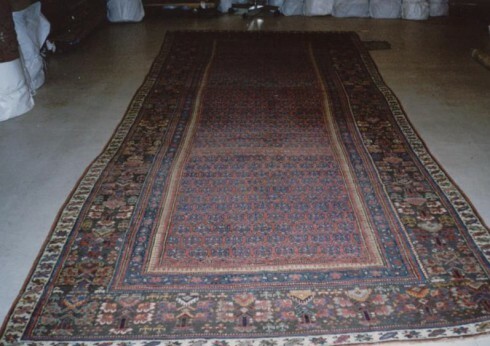 While some room-sized Malayer carpets were made on commission for the European and American markets, these larger, family-made examples are extremely rare. 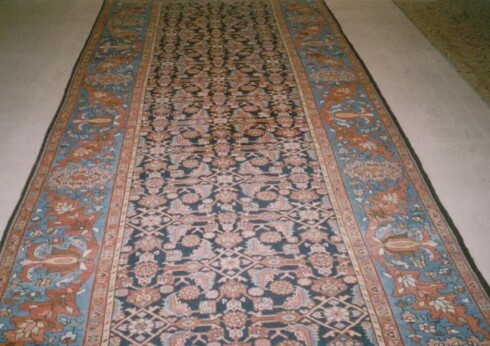 The vast majority of Malayer rugs available today are runners and small decorative pieces made by individual weavers. 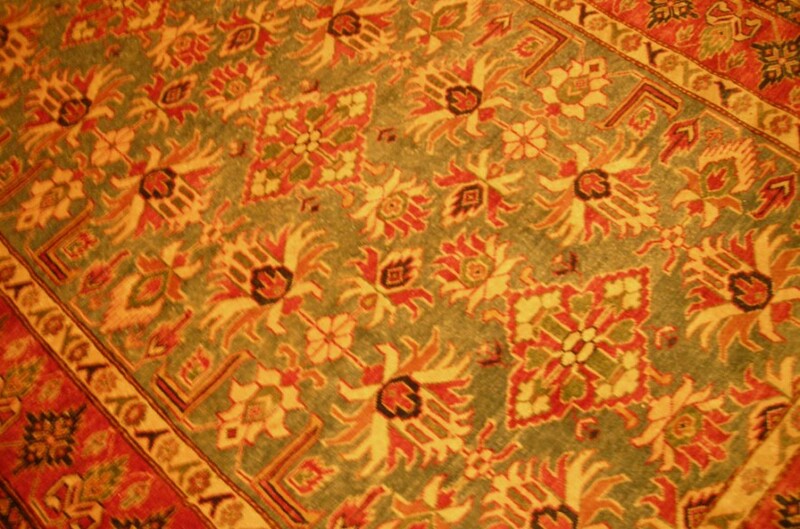 Somewhat rare among Persian rugs, many Malayer rugs are single-wefted, resulting in a rustic textile in which the visible warp is integrated into the central design. And design, it must be noted, is at the heart of Malayer’s fame. To emphasize the unique patterns for which they are known, weavers of the region cut their pile extremely short, thus drawing out the clean lines and sharp delineation of color that defines their patterns. Beautifully and painstakingly detailed, one sees in the creation of these exceptional village rugs the burgeoning sense of authorship just beginning to emerge among small-scale 19th century rug makers. Malayer weavers drew from an incredible diversity of influence, from classic Persian, to Turkish, to local tribal motifs, and in compelling combinations they created new patterns entirely their own. Among the most popular designs, birds appear in more than a few Malayer few rugs, as does the favorite sprouting seed motif, a historic symbol representing rebirth. Many perceive a conscious whimsy in the rugs, a personality highly valued by collectors. Still, while known for the hand-made, even rustic quality of their design, Malayer carpets manage to achieve a surprising elegance, especially for textiles produced by single weavers. Their subtle, richly variegated colors--soft greens and browns on deep, saturated blues and reds--are more typically seen in city rugs, where large, centralized workshops could employ hundreds of hands in the making of a single piece. Considered against their contemporaries, the Malayer rugs are especially remarkable individual achievements.